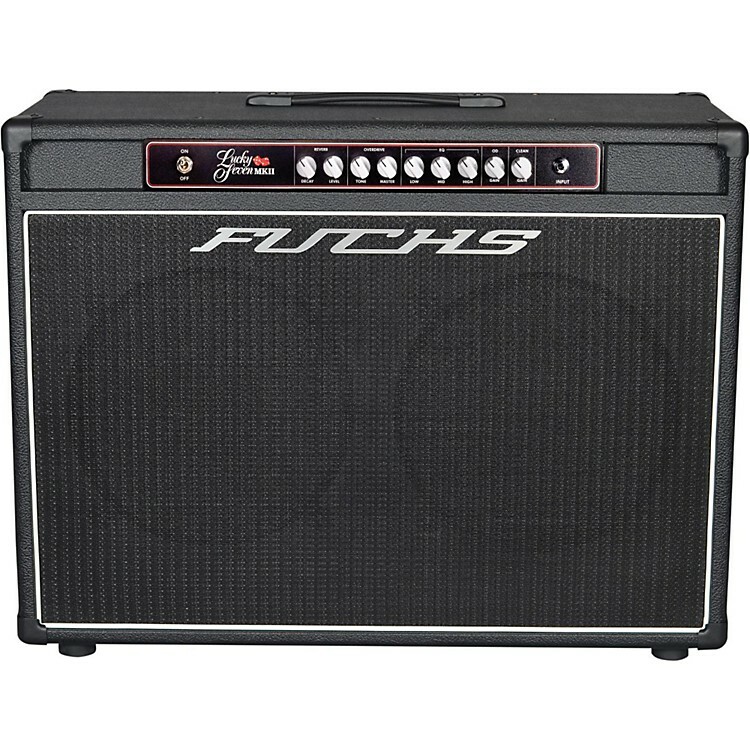 Great low-wattage tone in a full-bodied 2x12"
The Fuchs Casino Series delivers the great Fuchs ODS style tones that built Fuchs, to a more affordable format. While sharing circuit DNA with theODS/TDS series, a simpler construction style and more basic feature set allow them to bring these same great tones to the working professional. All Casino models share this same three-tube preamp stage featuring two channels with a full treble, middle, bass tone stack, a unique adjustable gain boost that gives increased drive on both channels while keeping the tone controls operational. Channel one works as a non-master volume low-gain clean channel. Add the boost for more drive and crunch or reduce the guitar volume to clean things up. The Casino amps feature the same great digital reverb technology found in the Verbrator pedal. A unique circuit design mixes the wet reverb signal with absolutely no affect on the pure tube dry signal quality in any way. It also features an adjustable decay control and is warm and bouncy unlike most digital reverbs can be. All models feature a bias control for each power tube, each with an internal test point so matched power tubes are not required. The amps also feature a buffered series effects loop, 4-8-16 ohm outputs, via custom wound power and output transformers. The cabinets are made of light-ply, an environmentally friendly highly resonant plywood that is about half the weight of birch or pine cabinets. Export units are CE and RoHs compliant. All components are the same premium quality components selected for low noise and sonic attributes.